After wearing this mani for almost one and a half day my nails started feeling very sensitive and sore. I have used all the products, except the top coat, many times before so the top coat must be the bad guy. This was my second (or third) time using Seche Vive and obviously also the last time. 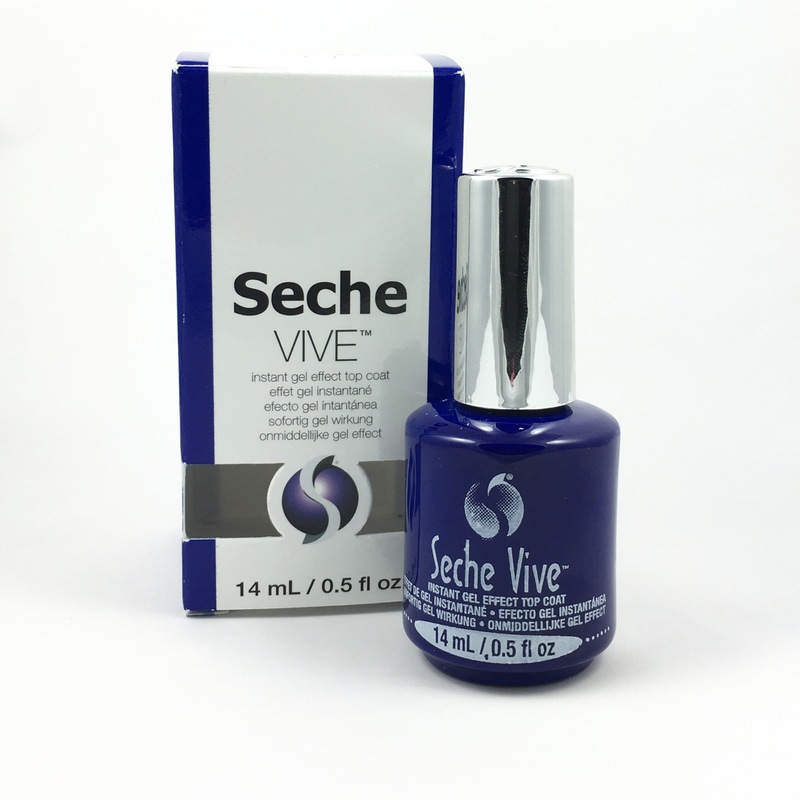 I had really high hopes for this product since I’m already a big user of Seche Vite. I thought that a gel effect top coat that gives super shine and dries fast was the perfect top coat, but unfortunatley not in this case. It dries very glossy and fast and it gives a plump appearance. But it also makes my nails detach from the nail bed. I started feeling this on Thursday and today it is Monday and my nails are starting to feel a little less sore. I had to cut them down a bit just because they felt so sensitive as soon as I touched something. 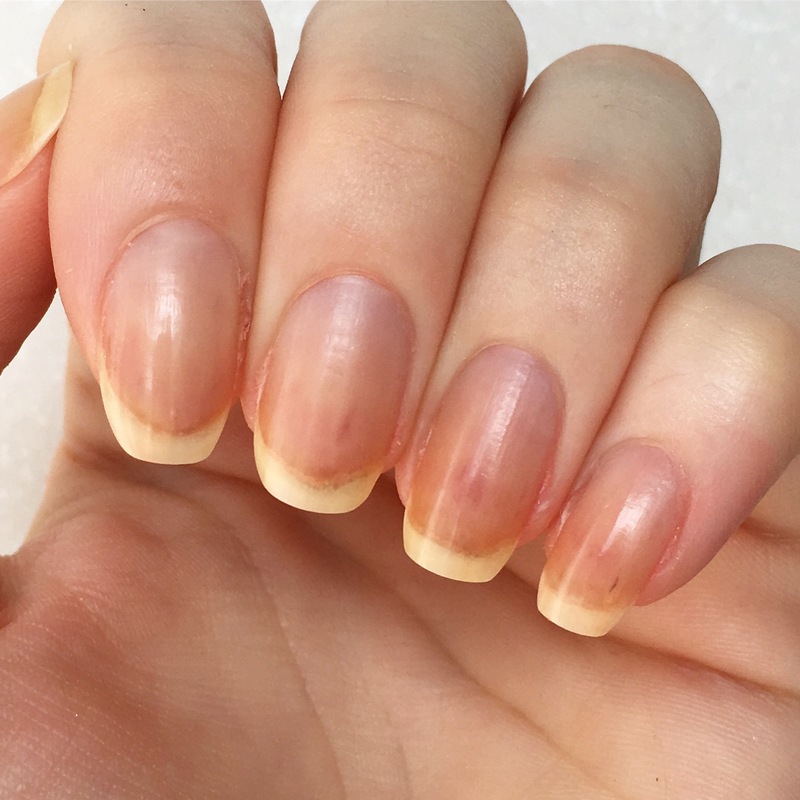 After removing the polish I had on my nails this is what they looked like on Friday morning. You can clearly see that the nail has detached from the nail bed on my ring finger. It looks (and feels) like the little finger and the thumb has made it, but the other nails are unfortunately affected. This is what my nails look like on Monday morning, and it doesn’t look pretty. It looks like they are bruised and the nail line looks gross. And under the nails, where the nail beds have detached, I have nasty blisters. I really hope that it doesn’t get worse than this…. 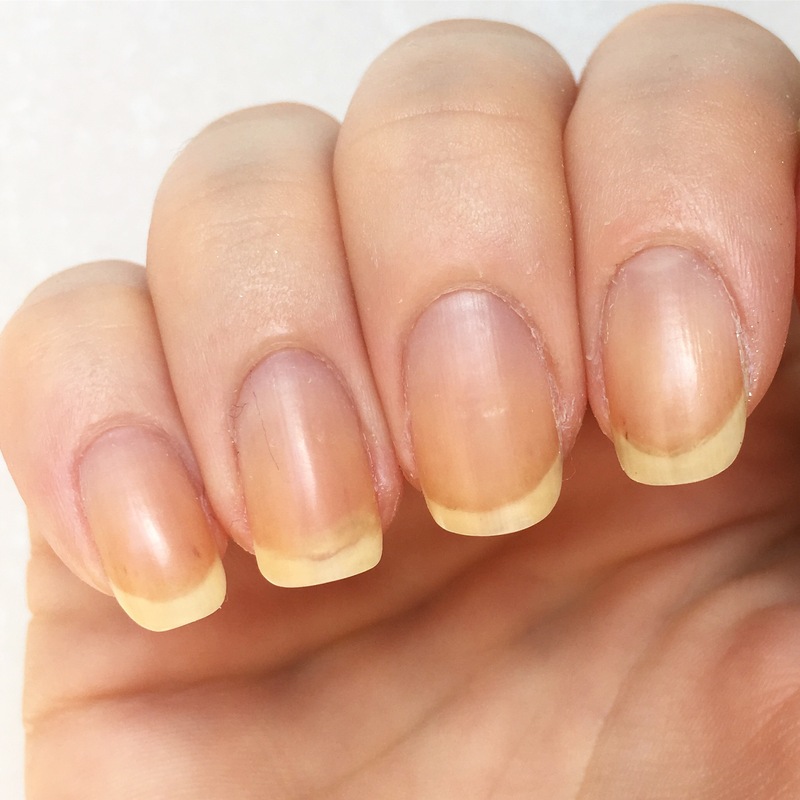 I will use a lot of nail oil and hand creme and try not to polish my nails too much the next couple of days/weeks and hope that it’ll get better. And as you probably already have guessed, I wouldn’t recommend anyone buying this top coat.